Photography has always been one of the most attractive topics in today’s world. It is something that ends up attracting everyone. Also, it captures our best memories and stores our precious laughter. On the other hand, digital technology has taken this matter on a different peak by implementing multiple new features. It has reshaped the world with new releases and breakthroughs and made us take one step forward towards a new world. And when both of them combine together the photography evolution becomes better every day. With a better processor architecture, enhanced software, and faster memory modules the aspect are improving day by day. If you look into this matter since the older times, you will find the actual difference between the picture quality. Keeping that in mind, I have discussed a few aspects today that gives you a clear idea about the transition in photography. The digital camera has definitely changed every photographer’s life today. If we go back to those ‘digital free’ age, the photographers had to be very skilled and had to look into various matters before creating a good photo. Taking a good picture was somehow a matter of science during those days. As soon as the DSLR cameras came into action, the number of professional photographers have rapidly increased. And this is possible just because now you can click a picture before knowing all the know-how of the concept. So everyone is getting interested in this, but back in those days, you had to take more than 20 shots in order to get the perfect one. In those ancient ages, taking a picture and getting instant print was not that easy. The photographers had to work really hard in order to develop a picture. It was also very time-consuming where they had to wait for so long to see the actual results of their efforts. 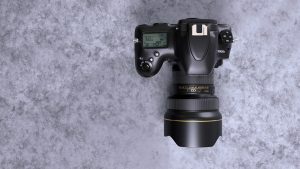 But in the recent DSLR cameras, you can instantly check how exactly your shot was and what else you have to implement in order to make it look perfect. Like the new UHS-II memory card transfer feature has made storing your photos easy. It has the capacity to store up to 64 GB of data that helps you carry dozens of pictures along with you even though you don’t need them all. Anyway, let’s thank the new technologies for creating such wonderful features for the photographers worldwide. Digital marketing is one of the most influential factors in photography. Through this, photos have literally moved from an artistic concept to a more practical dimension. During the old days, photographers needed to be more people-oriented in order to prove their photography skills. But today, you can actually find photography everywhere. Especially, the social media platforms have been the most satisfactory platforms for the photographers to showcase their efficiency. You simply go ahead and post your photo and let people know you approach you if they want. So this is easy for both photographers and the audience to get in touch with each other. All things considered, we should be grateful to the digital technology world for making photography one of the platforms to establish our talent and professionalism.